When someone sustains significant injuries as a result of an auto accident or other type of incident, they typically will file a personal injury claim in order to recover any financial losses that have occurred as a result of the accident. These losses can include costly medical bills, lost wages and pain and suffering, and are often referred to as "damages." If a claim is not settled and proceeds to trial, the exact value of these damages is eventually determined by a jury and can greatly vary depending on the facts of each individual case. The personal injury claims process is designed to fulfill a victim’s losses and make them "whole" again as if the injury had never happened in the first place. And because each case is different, the factors that determine the monetary value are wide-ranging. The monetary or economic value of damages in a personal injury case is dependent upon the types of losses that an injury victim may have incurred as a result of an accident. Medical expenses. A victim's past, present and future medical care and treatment, as long as it is associated with the accident, can be recovered in a personal injury settlement. The amount is calculated by tallying the doctors' bills, pharmacy receipts and other related healthcare expenses. Lost wages. 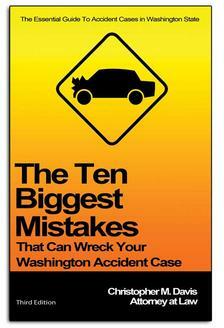 Most victims of a car accident are forced to miss time from work. Whether it's attending a doctor's appointment or dealing with some other item related to the case, victims can be paid for the time they missed. Loss of essential services. If the accident harmed you so badly that you cannot perform routine household chores or activities, you may be compensated for paying someone else to do them. Property damage. You can be reimbursed for any vehicles, clothing or personal items damaged as a result of the crash. Out-of-pocket expenses. An accident can impact many areas of your life, and dealing with the day-to-day tasks involved can add up fast. For example, an injured victim who has accumulated $25,000 in medical bills, lost $10,000 in wages and totaled a $10,000 vehicle would be seeking approximately $45,000 in economic damages. In addition to monetary losses, victims may potentially seek to recover non-monetary losses through a personal injury claim. The key difference between these and monetary losses is that non-monetary losses are not easily defined, as there is rarely a price tag associated with the damages that are being sought. The two types of non-monetary losses are pain and suffering and loss of consortium. Pain and suffering refers to all potential compensation for the physical pain that a victim has endured as a result of the accident. Emotional distress – the frustration, fear, anger and loss of enjoyment of life associated with suffering from an injury – is also considered when determining pain and suffering, and is usually a factor in more serious types of injury cases. Loss of consortium is a general reference to any marital problems that arise between an injury victim and his or her spouse as a result of the accident. Specifically, this includes problems such as loss of affection, solace, comfort, companionship, and even sexual relations. It is not uncommon for married couples to experience unique hardships after an injury, and loss of consortium damages are a means for repairing those hardships. 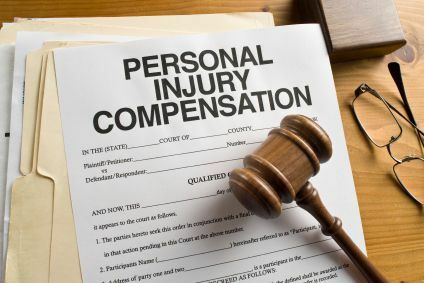 Ultimately, there are several factors that come into play when exploring the various types of damages that can be recovered in a personal injury claim. The state that the accident occurred in obviously plays a key role, as some states – like Washington – have restrictions on allowing punitive damages. And because each personal injury case is different, some cases may warrant recovery of certain damages while others may not. The best way to determine which damages are recoverable after an accident is to consult with a qualified personal injury lawyer. For a free case evaluation with Seattle-based Davis Law Group, call (206) 727-4000, use the chat feature below or fill out the form on this page. Really interesting post. I think people aren't usually aware of what damages are recoverable when it comes to personal injury claims. There really is a lot that you can claim for.